and we carry two different shaft types White Birch Wood or Carbon Fibre. The Mollard “E” batons are designed for high visibility and heavy-duty applications. large orchestras and armed services ensembles around the world. The large handles allow for a secure grip even with gloves. These are the original Mollard batons. They are famous for their lightweight, precision balance, beauty and responsiveness. and have the same excellent weight and balance characteristics. They are designed with a pear shaped handle for those who prefer this style. This mass provides a damping action to the movement of the baton that defies description. You simply have to feel it! All Lancio® Batons are fitted with our gorgeous pearlescent white carbon fiber shafts. 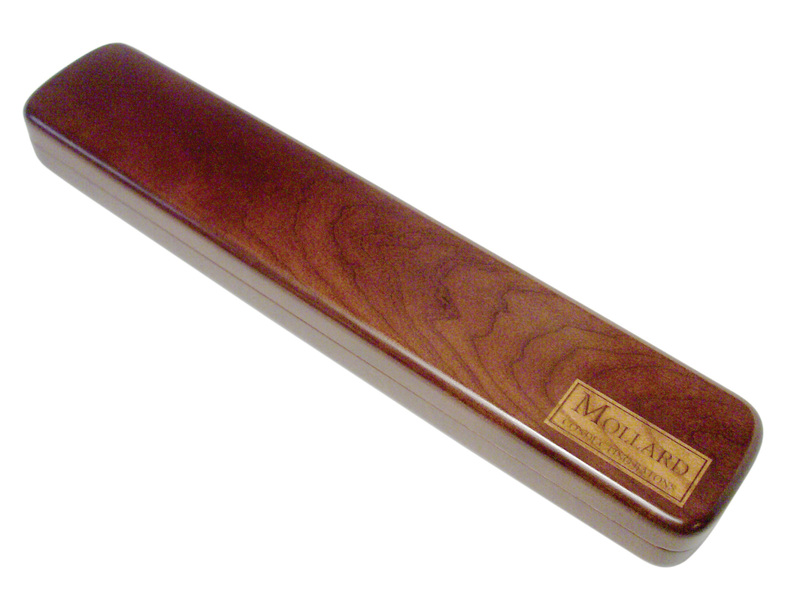 These reinforced, tri-fold “wallets” have become extremely popular accessories to Mollard batons. 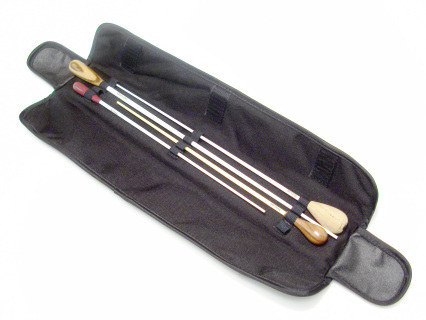 They each feature four loops for securing batons, a stiff spine for protection, and a durable black nylon duck covering with Velcro closure strips. 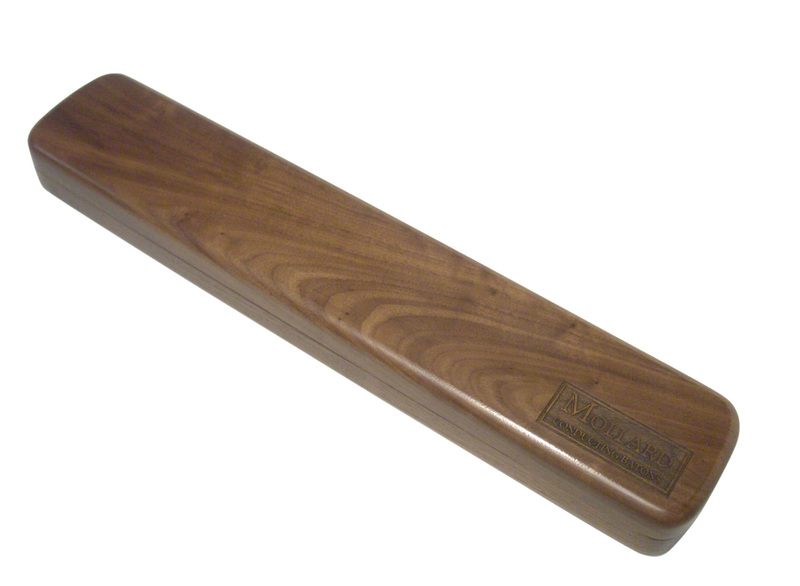 Holds up to four 12", 14" or 16" Mollard Batons. The while the large tote holds up to four batons of any length (to 16-inch maximum length). Or you can mix and match. 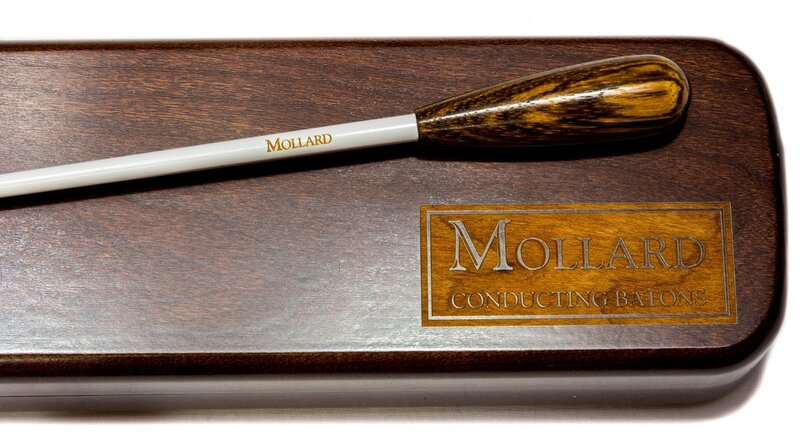 The Mollard logo is laser engraved on the outside lid of the case. All Prices are in Australian Dollars ($AUD). All Prices include GST. Free Freight, in Australia, on all orders over $100 ($AUD). Domestic Shipping Only. International Customers please contact us via email before ordering.